Sorry to all you monochrome lovers out there, but colours is set to be HUGE for the new season. Thought red and green was only for Christmas? Think again, my friend. For this trend think big, bold and bright. For me there are two ways to approach this trend. Bold colours are key. Think reds, blues, greens, yellows, pinks and orange. 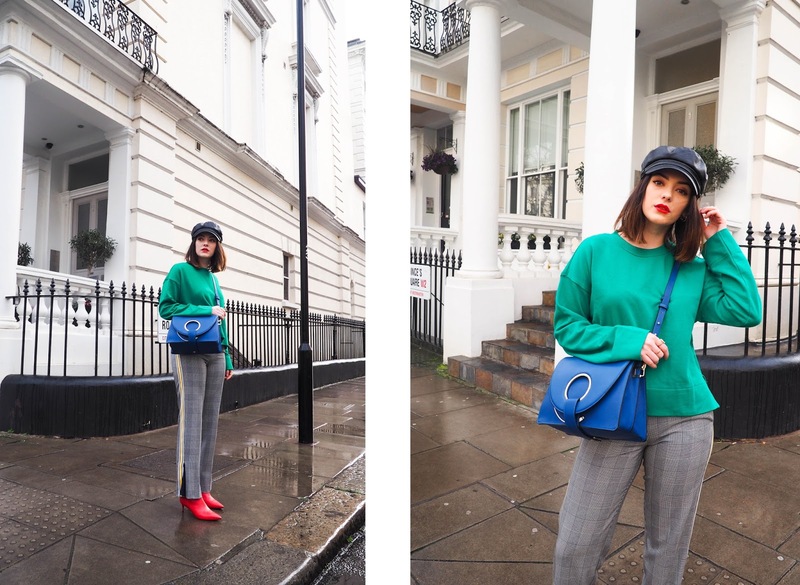 These colours always work well together and ensure all eyes are on you and your sassy AF outfit. If you're not quite ready to go all-out on the clashing colours, start off slowly with one of the above colours with a more neutral base underneath. For example, take a bright red jacket paired with blue denim jeans and a white tee and you're halfway there already! Or try injecting another pop of colour in your accessories. 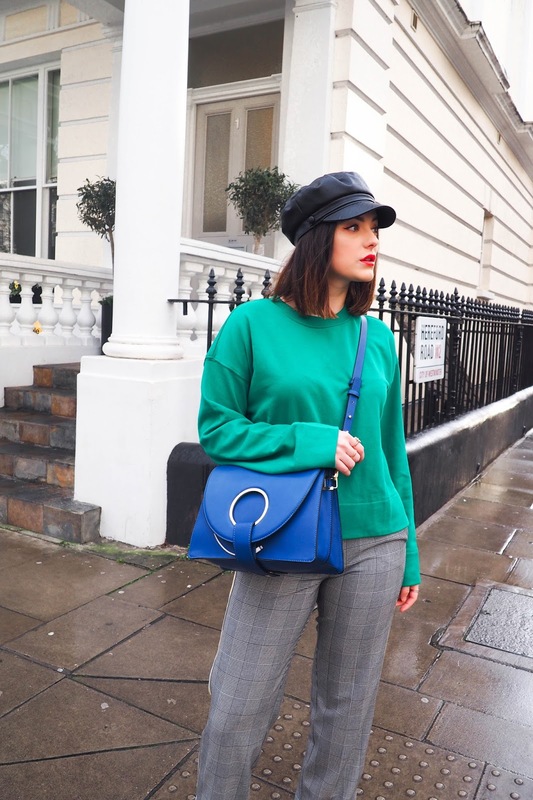 Dreary no more will your outfit be with a statement bag or shoe, similar to this bright blue Topshop number. Paired even with all black and a red lip would be such a killer look. Working with a colour palette. Take one key piece in your wardrobe, and work around the colours in that piece. For example, if you have a red jumper, go all out with red accessories in varying shades. You could pair it with burgundy boots, a brick-red bag and an orange-red lip. For fashion-lovers and newbies alike, this is a trend for the masses as it is so easily shaped around the wearer. 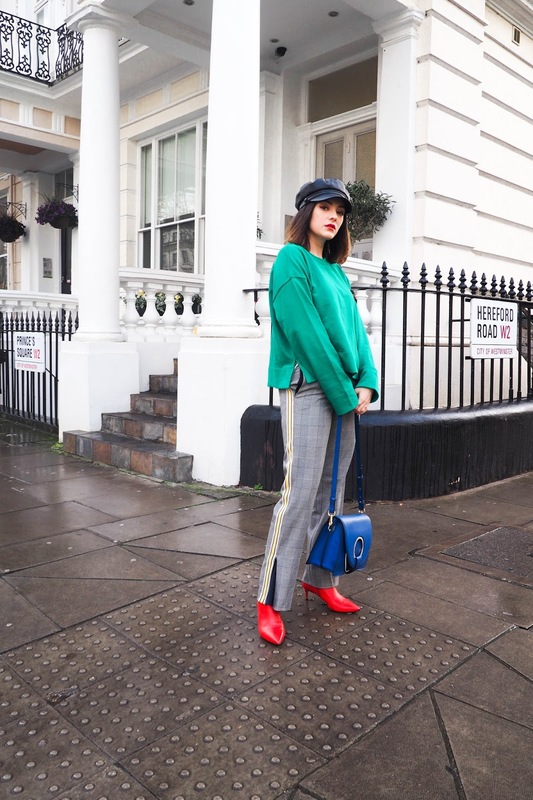 Fashion weeks gone by have already provided a sneak preview to this trend, with the likes of Fendi and Gucci showing how to work head-to-toe red. An easy way to approach this trend is with a two-piece suit or even a simple dress. This will be your starting point and then it becomes so much easier to style as all you have to think about is the accessories. Even a fuschia pink dress with black accessories can still fall into this trend at a perhaps more wearable level - just let your make-up do the talking instead. Perhaps a hot-pink lip and purple eyeshadow? Dreamy. This is simply a little insight into how my brain works when it comes to this trend. 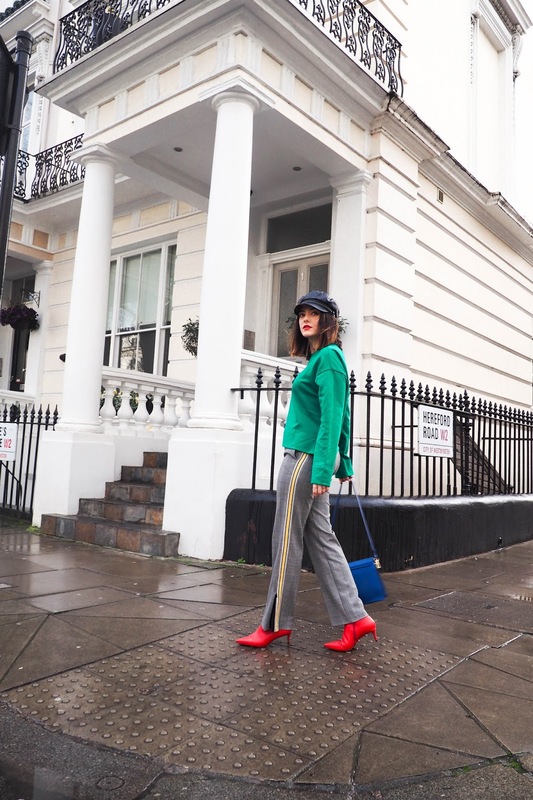 Whether you're just wanting to dip your toes into the trend or go all-out representing a walking London post-box, it's undoubtedly a trend for everyone and one I am thoroughly on board with. This is such a fabulous look dear! Loving the combinations of different colors and contrasts of textures. Really cool and chic look. Also, those red heels are gorgeous! You're far too kind! Thank you so much lovely!